Mrs. D's Flight Plan – Teaching with technology in a Gr. 8 classroom means sometimes you fly by the seat of your pants. We all know peer assessment plays an important role in formative assessment. It supports learners as they reflect upon their own work, but also the work of others. Additionally, it can be used as a component in assessment of learning skills. But it can be boring, needing a change. Today, the risk of using a new tool paid off! My class recently completed a reading, writing, and oral assignment where they were asked to compare the class read aloud, Half Brother by Canadian author, Kenneth Oppel, to the documentary the novel was based upon, Project Nim. Along the way, scaffolding and feedback were routinely provided. After the writing, students were asked to record a podcast using Audioboom, print off the QR code, and peer assess two other students’ work. It’s the first time I’ve used Audioboom with the QR code requirement. Students need a computer to print off the QR code, and yes, there were a few glitches. We learned students can’t be logged into their account via their ipad and a laptop in order to see if the recording had uploaded. Once the QR codes were printed, instructions were given on how to peer assess. Download a QR code reader, follow the success criteria, assign a mark. I’ve used several tools with my students for peer editing before, including google docs. But I found this method to be superior. Why? 1. 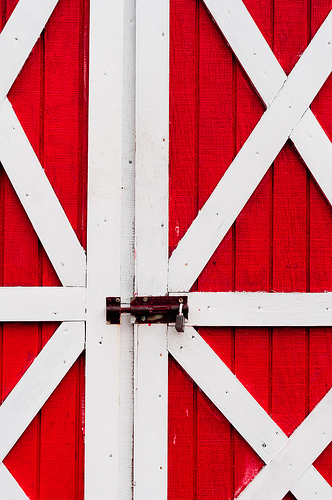 When students were done peer editing their first assignment, there was no bottleneck. Ready to move on to the next student? They found the QR code of the next assigned student, zapped it, and moved back to their work area to complete. 2. Students weren’t writing over top of each other as experienced when using google docs. That’s frustrating for them. 3. And of course, it was a new tool for them. They were intrigued. We need to change things up every now and then. While that was impressive, what came next was a win. Aiden’s editor gave him a 72 because he “lacks expression”, so Aiden responded with “I deserve a 75 because I am sick.”. Yes, he is recovering from a cold, and so he got the 75. Aiden showed initiative and self-regulation by sticking up for himself. Ben received an 85 from his peer editor, but he refused it. “I disagree, because the two “mets” (worth 75%) should bring it (the mark) down more than that.” Ben clearly demonstrated self-regulation (following the rubric/success criteria), and responsibility. And his reflection made me smile the most. Peer and self-assessment helps develop a greater sense of responsibility, as students not only honestly reflect on their peers’ work, but also on their own. In terms of summative assessment, I found my students’ ratings of their peers to be honest and kind. At the end of the exercise, one of the students asked if I was going to be marking the assignments as well. After confirming I would, he responded with, “I wish we could do this all the time.” The battle cry for “student voice”. As part of the Gr. 8 Cells Science Unit, students usually produce a cell model. 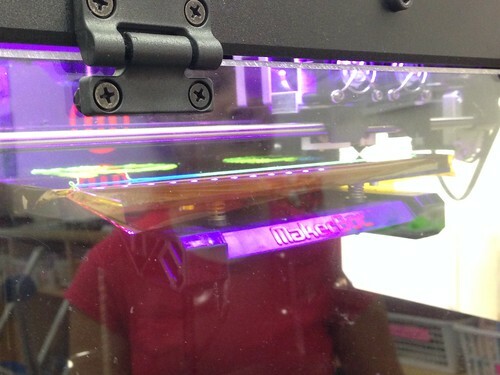 This year, students learned how to design and create their cell models using our 3D printer with dual extruders. I started the process by teaching students how to dual extrude by creating a simple cell base and adding a nucleus. Each structure was assigned one of the colours in each extruder. 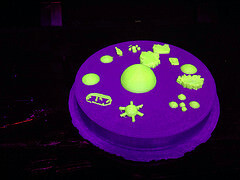 Because some of the organelles or structures are difficult to produce using the 3D design software (e.g. 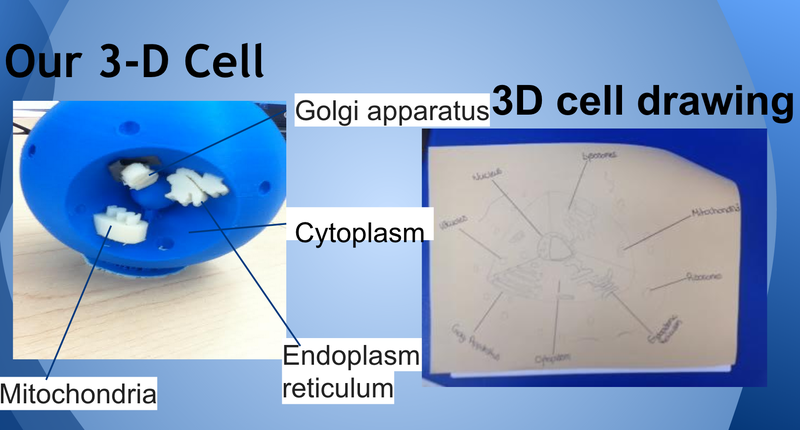 mitochondrion, dendrite), students then learned how to bring their 2D drawing of a cell structure into the software (we use Autodesk’s 123D Design). 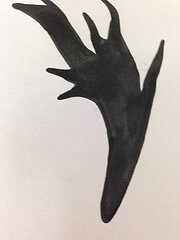 Their drawn structures were then combined with some of the simpler shapes (e.g. nucleus) which they had previously designed using the software. Below are some of the final cell models and the lesson I used to model the process. 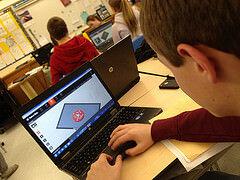 As a next step, students will be using these skills in geography to create 3D printed terrain maps. 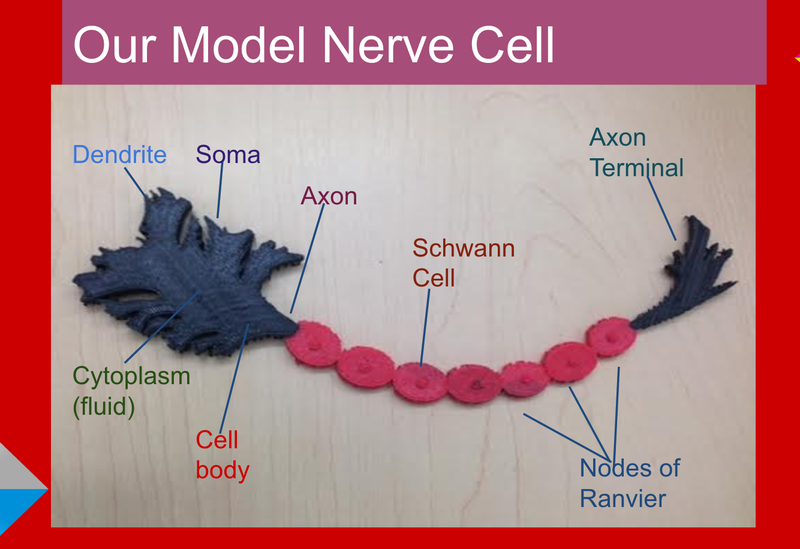 Creating a 3D neuron: Dendrites are detailed and difficult, so the girls added 2 drawings to their axon, which was designed using the software. Throughout the research and design process, it was evident that students were developing a deeper understanding of their cell and how it related to their chosen topic as they asked questions and revised their project notes. The final step was a class presentation (which included the function of the cell in body systems and their design process). Thanks to @LisaJDempster for sharing her steps for single extrusion and Ainslie Martin for the drawings. 1. Imagine the final design. Then deconstruct the design into layers. 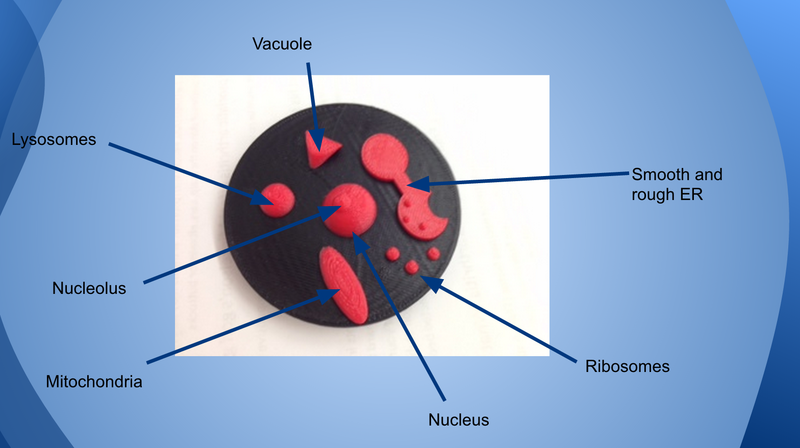 This example shows 3 layers (students used 2 layers in the cell project). The image needs to be solid fill with black marker on white paper. 2. 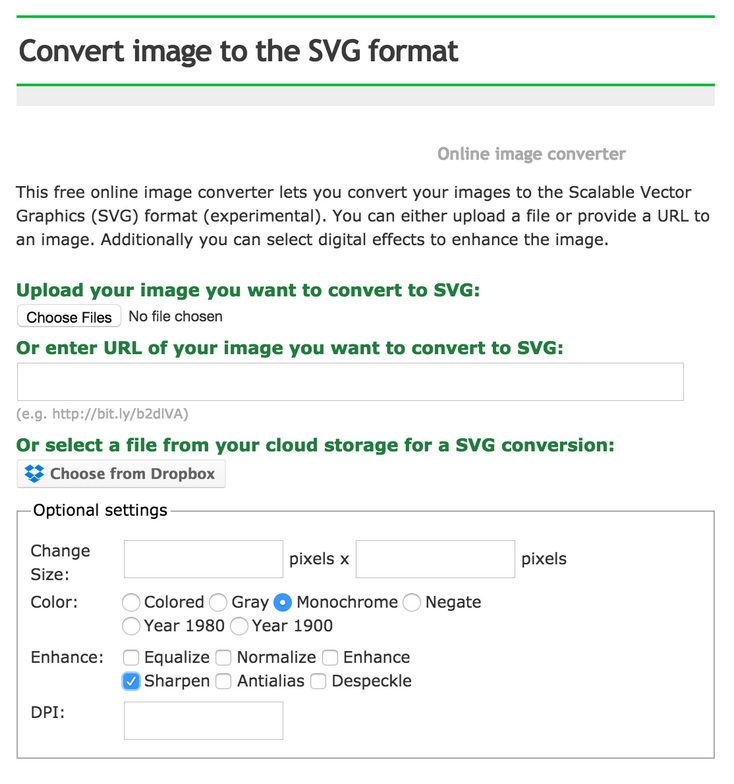 Convert .jpeg to .svg. 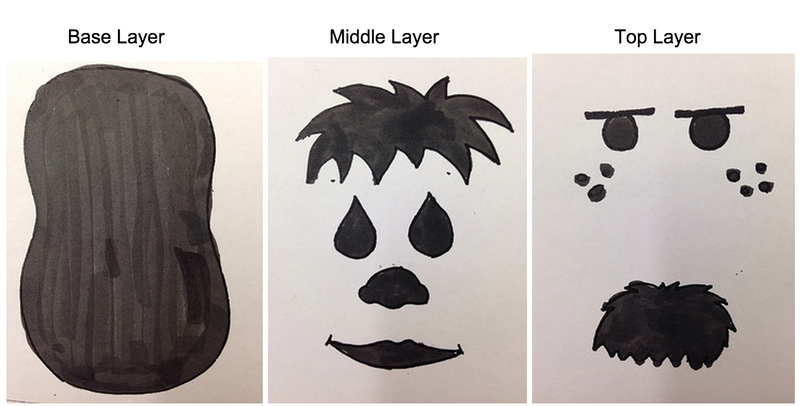 Take a picture of each layer (jpg on iphone), save and upload to Online SVG image converter. Settings: I chose monochrome and sharpen. 3. Click “convert file”, save as a download or to your Drive. Repeat for the next layers. 4. Open your design software (Auto123D Design). In the left side (look for the drop down arrow), import SVG as a solid (and scale down) or as a sketch (and extrude). I found it easier to do as a solid, highlight one piece, scale it down to 0.25. Click the remaining pieces and they will do the same. Some students preferred the “sketch” route. Export as .stl (left side drop down arrow). If asked to “Combine all objects?” – Yes. 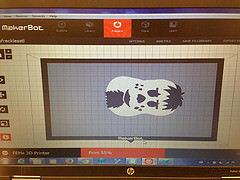 Open Makerware (if using a Makerbot dual extruder), Add file (bottom layer). Scale to size – I chose 50%. Uncheck the “uniform scale” box. 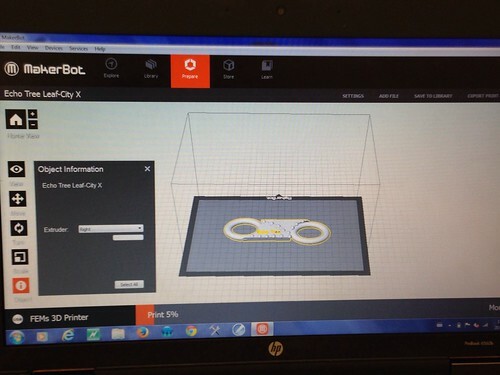 Resize the height by moving the Z axis down (print time becomes longer with increased mm). Add the middle, then the top layer. 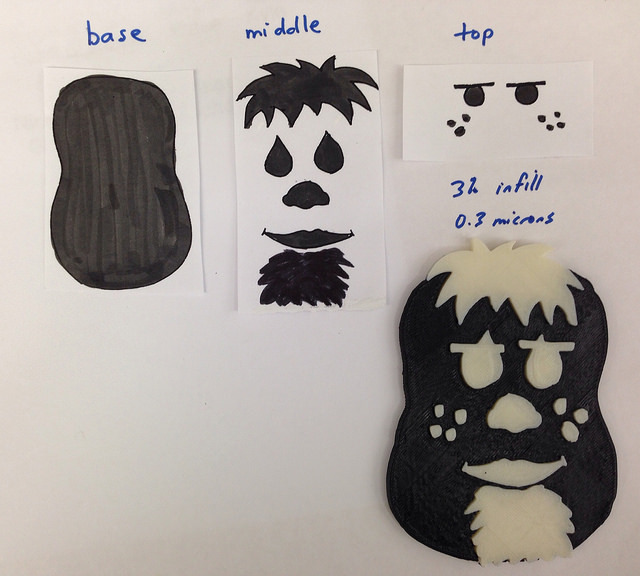 Final step – choose the dual extrusion by choosing Object (bottom left icon). Make the bottom and top layer the same colour, middle the alternative. And print! 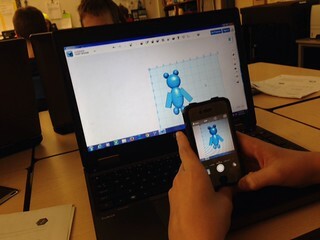 Below, Peter and Ryan experiment, using their phones (or mine) to take pictures of their simple designs, which they convert to 3D. 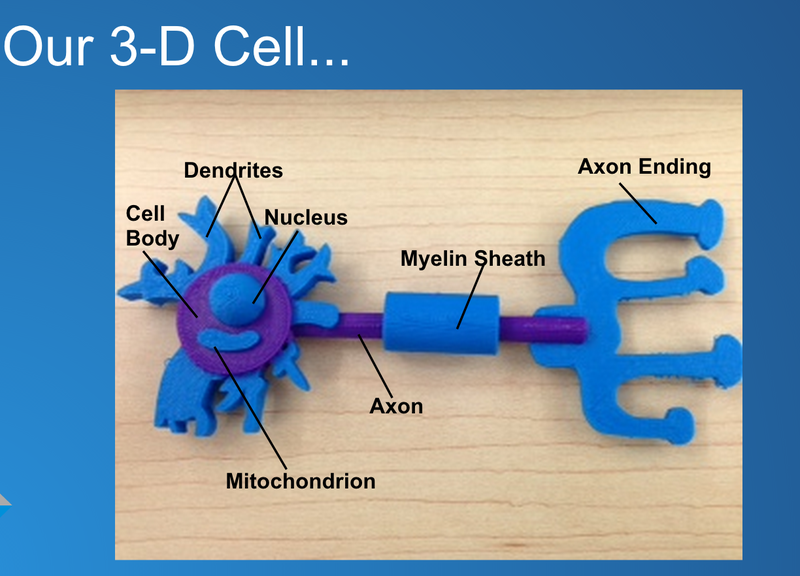 This “play time” is an important step before moving into creating a replica of a 3D cell model. 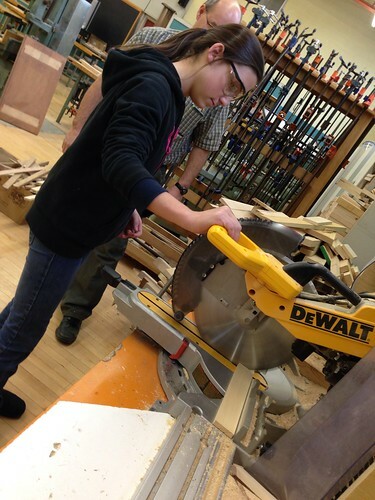 Over 70 students with various learning needs from three typical grade 8 classrooms, completed this project either alone or with a partner of their choice. Cell models, terrain maps, art…. I’m eager to hear other directions you envision this design process being used for in the classroom. Please leave an idea or suggestion. This week, my teaching partner, Marc Westra, and I introduced lessons to create excitement and interest around the 3D printer. Similar to last year, we wanted our gr. 8 students to see this piece of technology as being something beyond printing toys, jewellry and pizza (yes, it can do that). 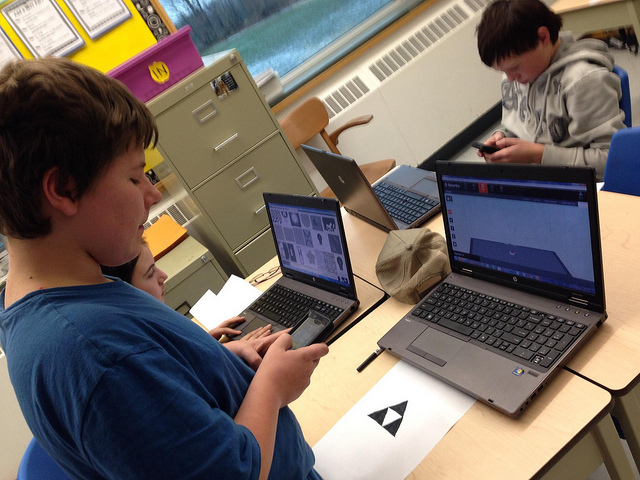 While these students had tinkered with the software and printer as a gr. 7 student, time had not permitted an indepth study since it was so new to us. 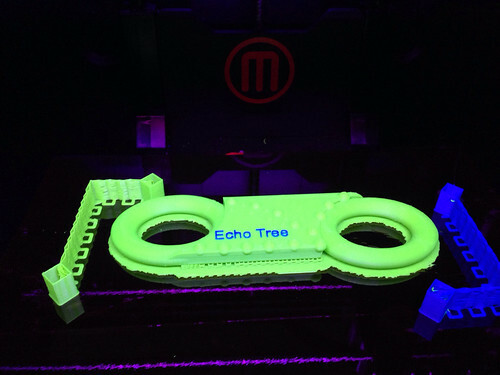 We want our students to see what a 3D printer is capable of, and then some. How can innovators use a 3D printer to meet the diverse needs of society, to help those in need? Examples of innovative 3D design appear daily though the numerous feeds I subscribe to. 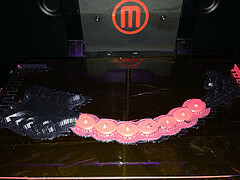 Recently, I read an article from Computer World, “3D printed skin holds promise for burn victims and others”, featuring the work of four engineering students from Toronto who have designed a printer to create a personalized “band-aid”, created from the patient’s own skin cells. My students, one in particular who had a skin graft due to a burn as a young child, could easily come up with who would benefit from this scientific use of 3D printing and how. The PrintAlive Bioprinter 3D skin printer works by placing the victim’s grown cells along with other biomaterials into a micro-device, which then pushes them out through several channels. The biomaterials are then mixed, causing a chemical reaction that forms a “mosaic hydrogel,” a sheet-like substance compatible with the growth of cells into living tissues. The hydrogel is rolled out in thin sheets that can create many layers of tissue. 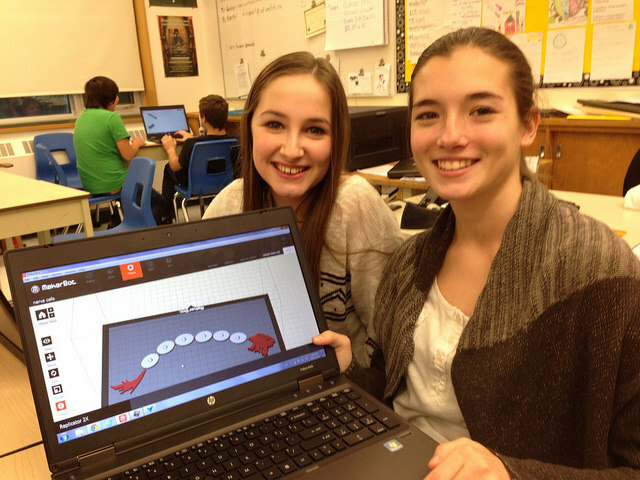 Students were then prompted to find their own examples, outlined in the google doc, 3D Printers: Share What you Learn. Similar to last year when we first ventured into 3D, it was fascinating to watch. While they read or viewed videos on 3D topics of their choice, our 3D printer purred in the background, creating a bracelet for an E.A. who was fascinated by the examples I had shown her. Our students were excited to share their discoveries their teachers hadn’t read or seen. 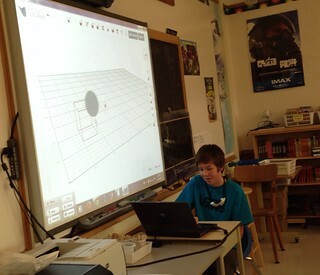 Using a shared Google Presentation, students compiled their interests and shared with their classes. This past weekend, while my family and I began to watch CBC’s “The Nature of Things: Dreams of the Future”, I was interested to learn the first segment focused on 3D Printing Body Parts, featuring the 3D skin printer we’d discussed in class. The show touched on plastic prosthetic parts, the use of living human cells to create cartilage and bone, skin and and liver tissue. Yah – old news – my gr. 8 students already know this! And some of these segments featured the same 3D printer in our classroom. On Nov. 5 and 6, Marc and I will be sharing our initial, current and next steps on how we incorporate curriculum and 3D printing in our quest to develop confidence, creativity, critical-thinking, collaboration, communication and problem solving in our students’ learning. Please chat with us at MoM on Wed. Nov. 5 and at Bring IT, Together 2014 #Bit14, Thurs. Nov. 6 in Ballroom B.